News - Frontierville Express - More Than Just A News Site: New Searchable Inventory and Collections! 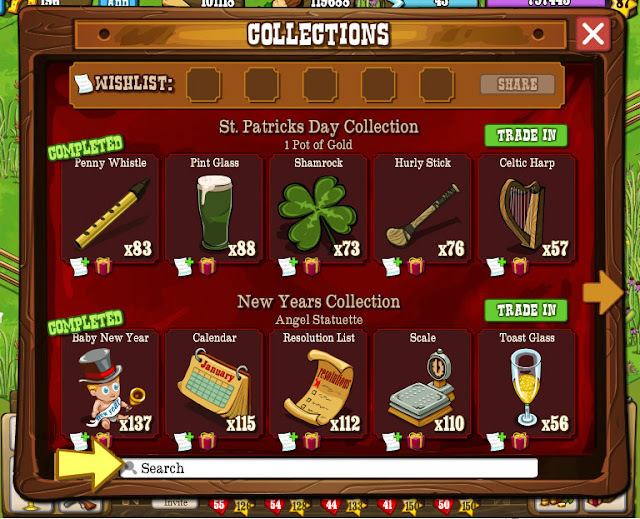 New Searchable Inventory and Collections! After a year of scrabbling through our inventories looking for stuff we'll now, with just a simple few button presses find anything we want to find! In addition to the wonderful Searchable Inventory we're also going to be getting SEARCHABLE COLLECTIONS! Yep, if you've spent far too long scrabbling through trying to find the missing item in the Lupin colleciton worry no more, just a quick type and away you go! Get Your New Tools On! Frontierville renamed "The Pioneer Trail"